Literacy learning and vocabulary development are essential skills children must learn and master for success in school, work, and life. The equation is quite simple: literacy skills = school success = employment = physical, mental, and financial health. 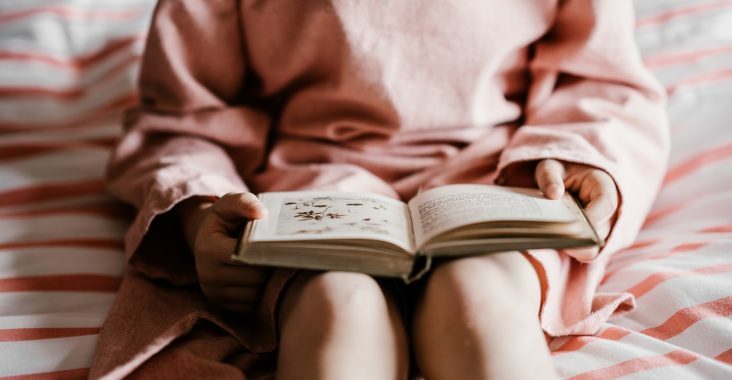 Traditionally, literacy was a family activity, but it today’s media-drowned world, finding time for family literacy activities can seem intimidating and daunting. Making literacy a family activity doesn’t need to be time consuming or expensive. It’s also a great bong experience everyone can enjoy. Shared Reading – Make shared reading (reading a couple of pages of a book and passing it on while others listen) a habit. If appropriate, take turns reading as an entire family cuddled in bed or on the couch. Sharing a book together allows for a bonding experience and further conversation. Vocabulary Board – Purchase a whiteboard and makers from the dollar store and put it up in a central place. When anyone in the family comes across a new or challenging world, they write it on the whiteboard. Then pick one day a week to discuss the words and guess or find definitions as a group. Writing Contest – Seek out a writing contest online or in a magazine (i.e. Polar Publishing has one for kids and adults). Then, each member of the family enters a piece of writing n their age category. Usually, the writing form is a prescribed (poem, short story, narrative) so as a family you can also read examples of writing forms to get your feet wet and share drafts of your work with each other for feedback. Bookstore Treat – Looking for a fun, family outing on a cold, rainy day? Head to Chapters (or other local bookstores). Give each family member a budget and set them loose among the books. Spend the afternoon reading your new treasures. Your investment will be significantly more beneficial for your child than a movie ticket or a fast food meal. Sign Fail – Kids love pointing our adult errors (as do other adults). Make this a game as you travel in the car. When any member of the family sees a sign with a spelling, word choice, punctuation or grammar error on it they yell, “Sign Fail!” Often these are quite comical and end in a good laugh, but they also create an opportunity for great conversation about how the sign could be edited or revised.